It’s a new year and we’re back! After an amazing show we did in collaboration with Live Nation Sweden in Malmö Arena in October 2014, we are coming back to Sweden in 2015, but this time to Stockholm. 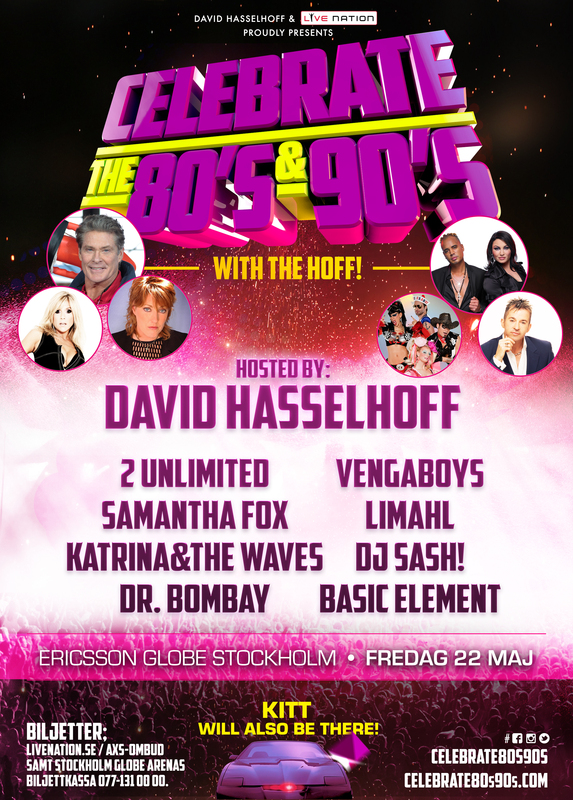 Celebrate the 80s and 90s with Hoff in Stockholm will be held in Ericsson Globe at Friday, 22nd of May 2015. The line up for our newest show includes: 2 Unlimited, Vengaboys, Samantha Fox, Katrina and the Waves, Limahl, DJ Sash!, Dr Bombay and Basic Element. Stockholm show is of course hosted by one and only “The Hoff” David Hasselhoff.